UK based Aniko Kolesnikova of Mandarin Duck is an extraordinary award winning polymer clay artist. It's not just her technical skill with the medium but her astonishing imagination and vision for her range of jewelry, journals and jewelry box designs. It's very difficult to pinpoint this talented artist's definitive style because she is capable of so many styles. Her Labradorite pendant above is not a metal piece but one wrought with polymer clay as if it were crafted by a metal smith! 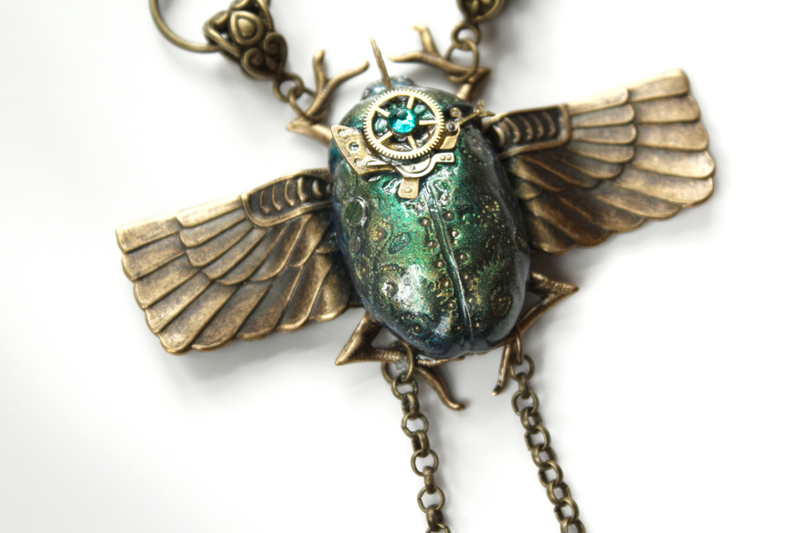 Likewise with the scarab beetle creation below - an Egyptian inspired steampunk design! 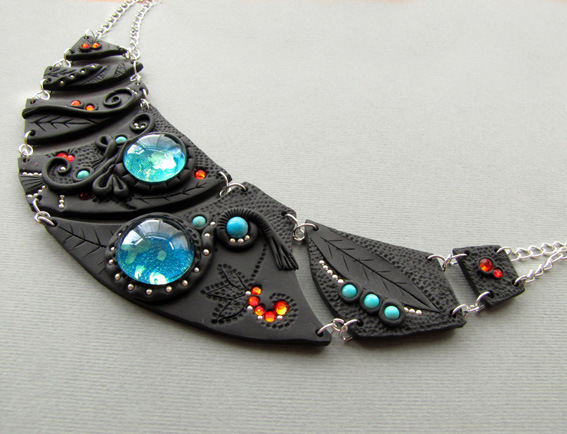 Aniko is masterful with dark grey and black polymer clay. The design below is from her Dark Knight Fantasy collection. 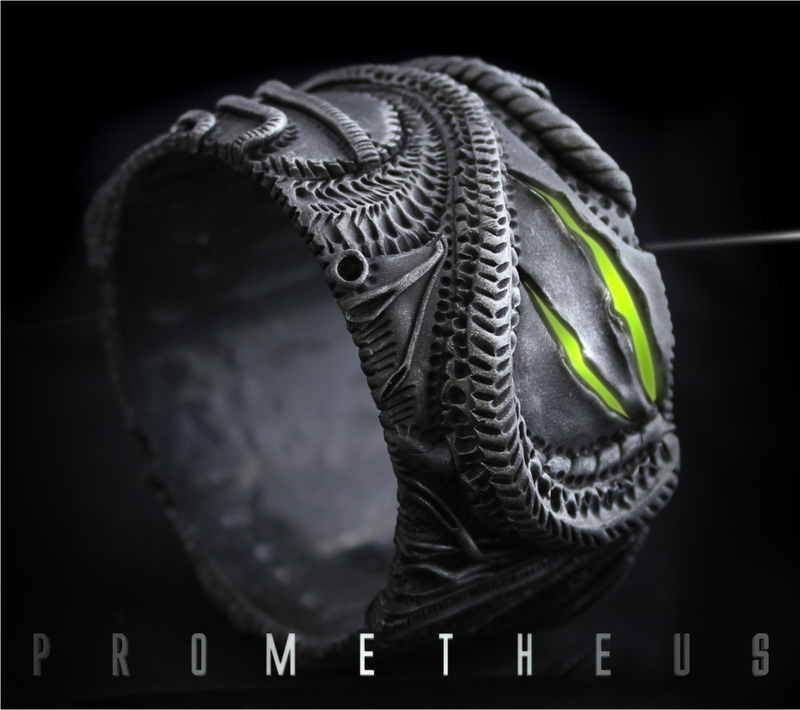 Aniko says the art of Hans Rudolph Giger, the award winning designer for the movie “Aliens” inspired her Prometheus bracelet below which "embodies the biomechanical/gothic feel of his earlier work." 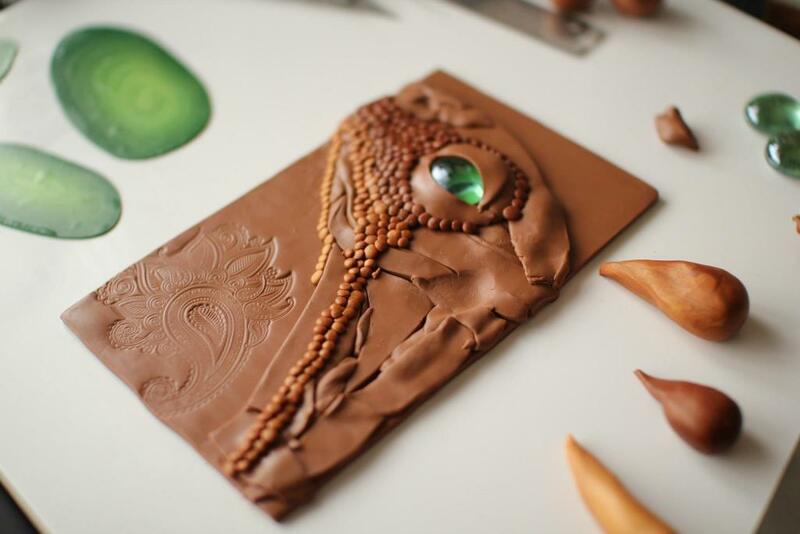 Aniko is also known for her amazing polymer clay journals. They are exquisitely detailed. 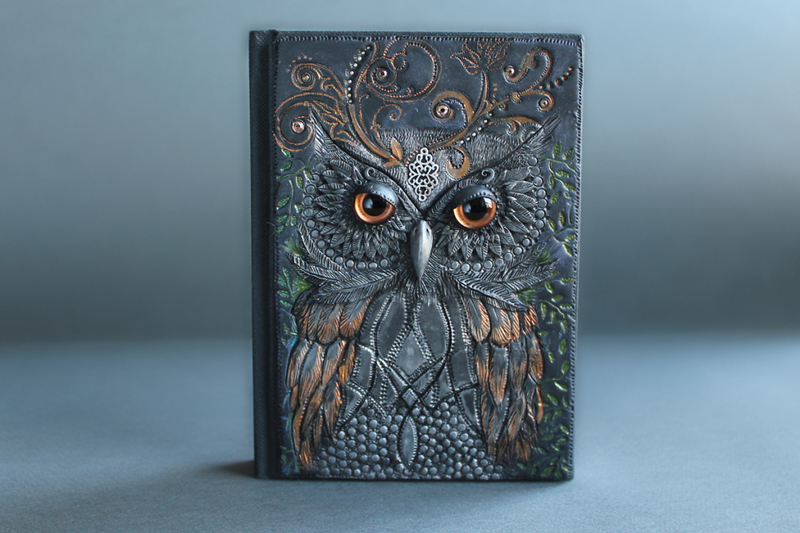 The owl journal below was a custom order. 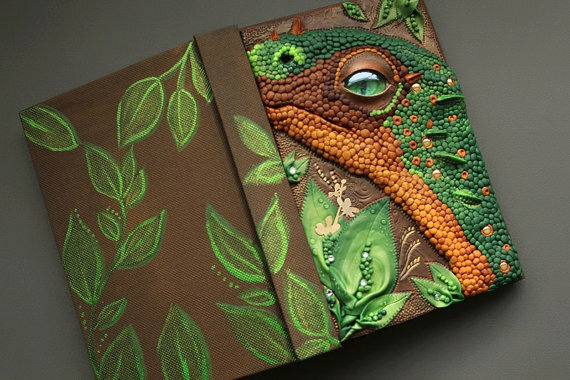 Her Child of the Dragon journal features a baby green dragon that's just hatched and is munching on leaves! 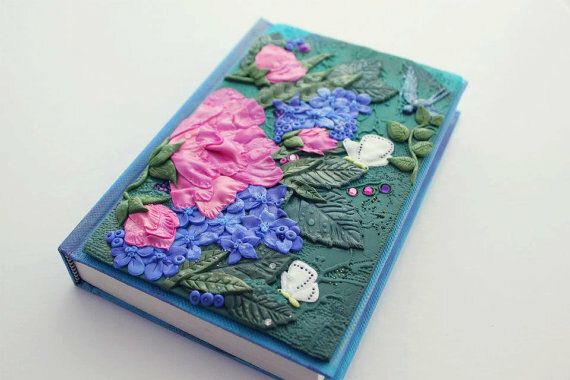 Please watch Aniko's video which showcases many of her incredible polymer clay journals. Be prepared to have your mind blown! Aniko also has an Etsy store. Wow, what an incredible amount of talent and such an eye for detail. Thanks for sharing this. I want to work with the polymer clay but haven't attempted it yet. I am sure I will need to go look at some of your tutorials when I finally get to work with it. These pieces are so incredible. Beautiful...Thank you! OMG ! I have no words to describe what I feel reading this post . The work of Aniko is absolutely amazing ! thanks for sharing such inspiring artists Pearl . Love to read and be inspired by all of them ! Wow, impressive stuff! What skill! I particularly love the journal covers, very unique! Wow! 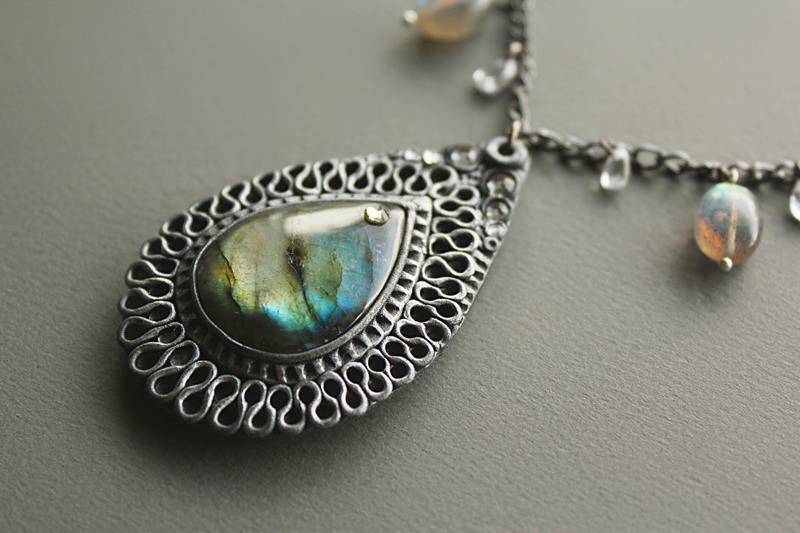 I like the stuff, everything is beautiful but the Arabian Nights Labradorite Polymer Clay Necklace's pendant is simply stunning.